Peter Bradfield, also known as the Media Doctor, is the Principal and Founder of the Aerospace Media Dinner. With over 20 years experience in the aviation industry he can frequently be seen at major airshows and exhibitions. 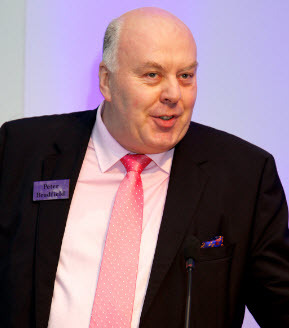 In 2006, following a 15 year career in aerospace publishing, Peter established the Media Doctor consultancy which specialises in helping companies work with the aerospace media. The Media Doctor delivers a portfolio of solutions and strategies to make press campaigns, website and advertising really stand out and dramatically of increase your presence in the aviation media. As part of the consultancy Peter created the world’s only website reporting on developments in aerospace media and events. In addition to advising companies with their aviation media and PR strategies, Peter has published a series of specialist media reports and analysis. These focus on major airshows and exhibitions, the future of aerospace publishing, and email marketing. In 2012 Peter created the Aerospace Media Dinner, an event to recognise Excellence in Aerospace Publishing and the major contribution aerospace journalists make to the industry. The Aerospace Media Dinner takes place annually, either in London or Paris, on the eve of the Farnborough and Paris Airshows. The Aerospace Media Awards are presented during the evening to recognise and reward the very best work in aviation publishing. Peter has been a Member of BACA since 2013 and joined the BACA Council in April 2016. He is also a member of the Aviation Club of the UK and ISTAT.